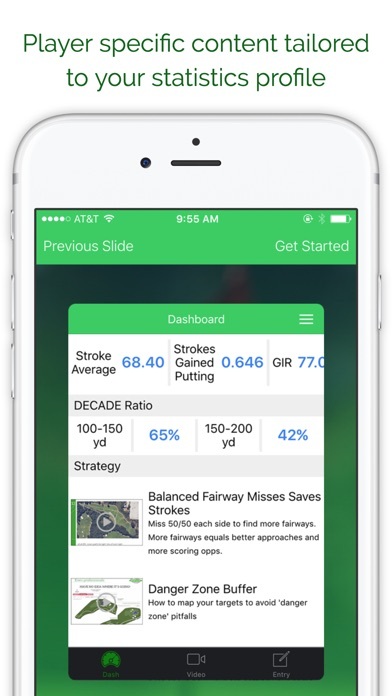 Next generation golf app here, been using for few months and I’m learning a lot from the guys on here. Helping me analyze my rounds thoroughly. In my opinion I think this is the best golf app I’ve owned. I have had multiple other apps and statistics keeping systems, however decade really is different. Not only is stats tracking just as easy if not easier than than all other stats keeper apps, but Scott has clearly taken a ton of time to create fantastic, easy to learn, and informative content. This all shows shows exactly how to pick apart golf courses, and how to make the best of optimal decisions in every type of situation to give yourself the best scoring opportunity. And what’s funny is that that isn’t even the best part! 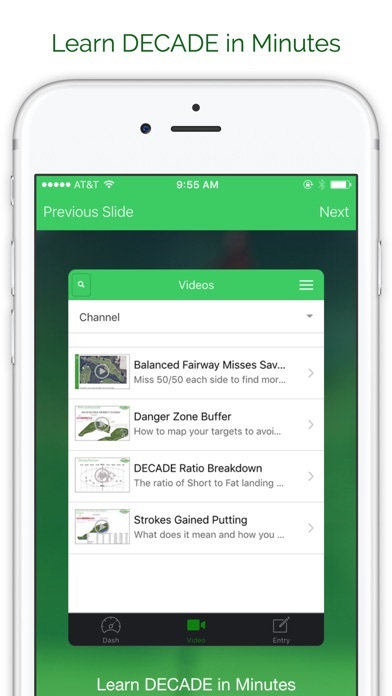 It literally produces videos showing you how to improve based on the stats that you compile! I really can’t recommend this app at all. I was lucky enough to make it into the U.S. Amateur last year after coming off injury and it was 100% because of the fact that I employed all of Scott’s strategy, and had a much better understanding of my game because of this app! I know this probably sounds like and infomercial but it really is just that good. I played Division 1 College Golf and not once was I ever introduced to information like this. I found Decade on YouTube to start and immediately knew that this was the information that would take me to the next level. Nobody in golf has ever broken this info down on such an understandable level like Scott. He helped me to relax on the golf course and understand that perfection was not needed to play my best golf. Since using this app for just under a year, I’ve had my best tournament season to date. You won’t get info like this for a comparable price anywhere else. 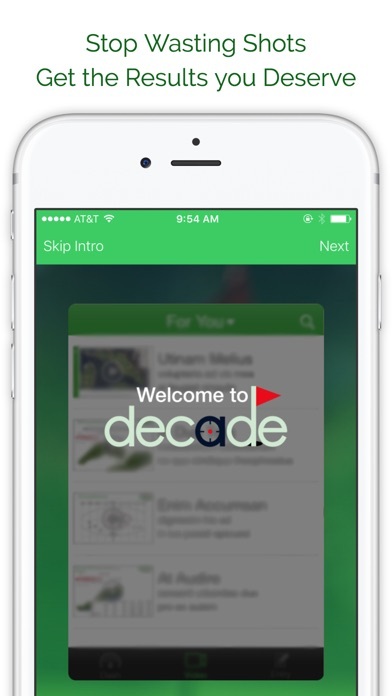 Started with Decade before the app came out but the app made the system and ideas around Decade even easier to follow. I would pay the money just for the Decade strategies alone, the stat tracking is just a bonus! Literally a must have if you’re serious about improving your golf game! Version history indicates video playback issue fixed. If that issue was no sound, it hasn’t been fixed. Even though it’s not noted, this is not the full version of the DECADE system. The $50 only gets you a “Lite” membership. The Lite membership does not include a system for tracking every shot or any customized course management advice. It’s essentially paying $50 for generalized videos and very basic stat tracking. You can honestly find very similar information for free on YouTube. I made this a 2* review instead of a 1* review because I suppose there are some beginners who could benefit from this general knowledge. FYI if you want to upgrade to the real DECADE system, it costs another $150.